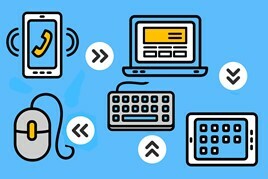 Dealers and manufacturers are tasked with keeping pace with rapidly changing technology and consumer behaviours, but there is a growing digital toolkit available to help smooth the gap between the worlds of online and the physical showroom. More manufacturers are getting involved in the car buying process at an earlier stage and Škoda has pioneered a way of engaging customers online before they walk into a showroom with its Live Tour product demonstrations. Live chat has been part of a dealer’s digital toolkit for a few years, but the technology is now being enhanced by artificial intelligence (AI). Customers are becoming more accepting of AI technology, such as Apple’s Siri and Amazon’s Alexa. In the context of live chat, AI can rapidly answer any question it may be able to index from a list of progressively sophisticated automated responses. If the questioning becomes more complex than the AI can handle, a physical live chat agent can then step in. Suppliers, such as London-based True AI, have estimated that live chat responses could be automated in up to 33% of cases. Jo McKeown, channel manager – automotive at Moneypenny, said younger generations of car buyers expect a more tech-focused experience beyond just the basic phone call. AI is not prevalent in the automotive sector yet, but companies such as Moneypenny, which offers 24/7 live chat and telephone answering, have an eye on how the technology is evolving. McKeown said: “We’re always looking at how the market is developing and what is the best approach. “I think it always has to be a hybrid between real people and using technology to supplement that. 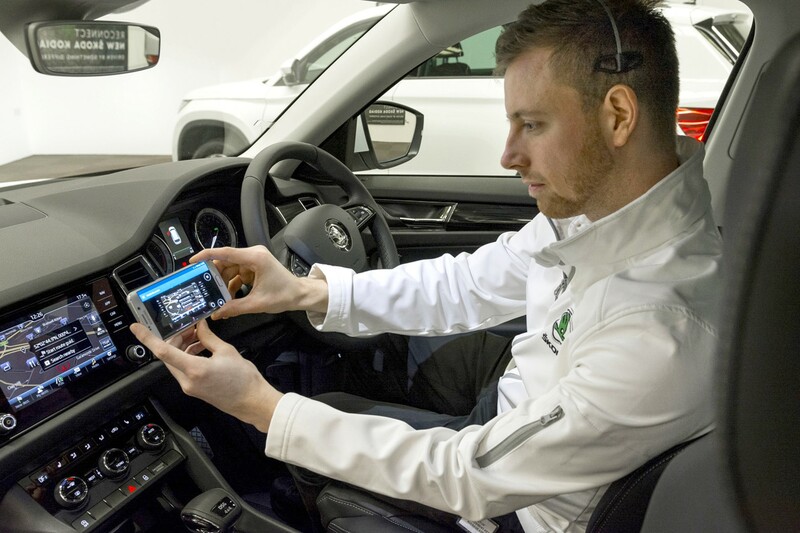 Škoda has a team of seven product hosts that use a mix of static and handheld cameras to showcase its range and to answer any questions a customer may have before booking a test drive. The Live Tour project has been running for 12 months and has delivered more than 2,000 hours of product demonstrations. John French, Škoda UK’s head of sales operations, said the way customers are interacting with dealerships is changing and the Live Tour plays a key part in the research phase. So far, three quarters of Live Tour users are new to the brand, 38% have gone on to book a test drive and 10% have converted to a sale. The conversion rate from product demonstration to test drive has increased over the first quarter of this year, to 48%. Three quarters of leads generated from the Live Tour have been for Škoda’s new seven-seat Kodiaq or the Karoq crossover. French said the dealer network was “extremely supportive” of the initiative, as it is generating more leads for their businesses. He said: “The Live Tour helps put Škoda on their shortlist and it is then our retailers who pick up with the customer and provide an exceptional experience when they visit the showroom. Moving finance applications online not only helps smooth out the process, but has the added bonus of helping dealers to record and adhere to Financial Conduct Authority (FCA) regulations. While the majority of funders offer a digital finance process for dealers to offer customers, actually completing the deal without visiting the showroom is still rare. David Fletcher, Dealflo’s vice-president of sales, said: “Up until five years ago, a lot of this finance process was all paper. James Tew, iVendi’s managing director, said while the technology to complete a finance application end-to-end is already available, most dealers, customers and funders complete the process in the showroom. 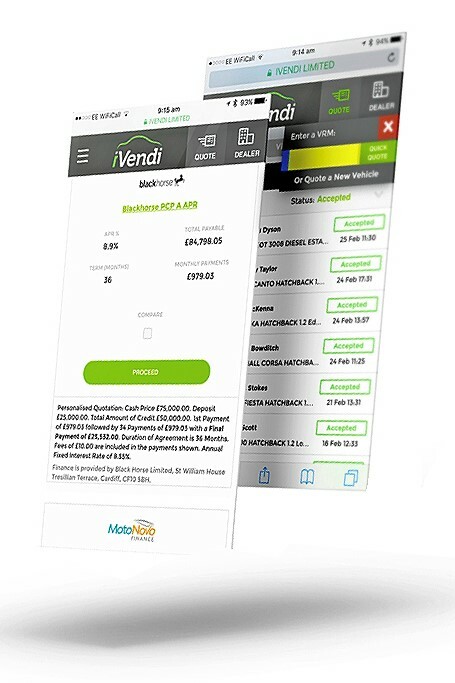 iVendi’s answer is to offer the ability to continue the finance process away from the dealership with a customised quote. If a customer has been working on a deal at the dealership, they can take all those details and continue adjusting offer parameters at home, with no pressure. One of the next steps for motor finance may integrate facial recognition technology to help smooth out the process for proof of identity. Fletcher said the process would see a customer upload documents, such as their driving licence and then a customer can take a picture of themselves on their phone and upload that. The software can then verify their identity by comparing the two. Open banking will also be a big development, particularly around the area of affordability. Open banking will let third parties such as motor vehicle finance providers gain access to a customer’s bank account, with their approval, through a secure portal to assess disposable income, spending habits and affordability. However, Fletcher said this is still at the proof-of-concept stage as banks open up their mobile banking software to third-party developers to interact with it in a secure way. Tew said: “Open banking will help in the sub-prime sector initially, for those customers that might not have been able to get a decision due to a credit rating before. “Open banking is going to help with things like affordability checks, but we’ll have to see what the FCA’s September investigation into the motor finance industry looks like as to whether open banking is going to play a greater role in affordability checks. Automatic number plate recognition (ANPR) technology has been around since the 1970s, but dealers such as Swindon-based Pebley Beach are using it to improve customer service. Dominic Threlfall, the managing director of Pebley Beach, adapted the technology himself to link it to the dealership’s dealer management system (DMS), which informs the front desk of the name and details of the customer about to come through the door. Pebley Beach introduced ANPR as part of Hyundai’s 360 workshop automation initiative, as an optional extra initially run as a pilot project. 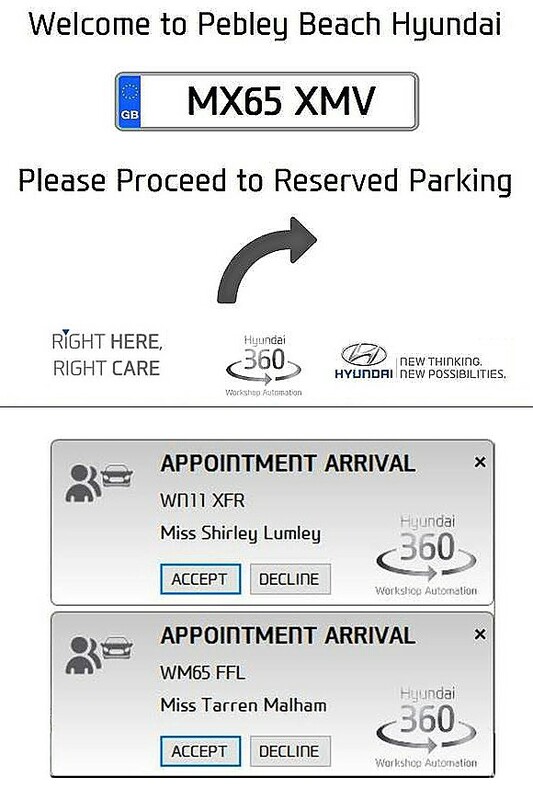 Hyundai funded the installation and while it was set up specifically for the dealership’s workshop, Threlfall adjusted it to work with the company’s entire customer database. He said: “Any dealer could buy an ANPR camera set-up from anywhere between £600 and £1,000. While Threlfall said the impact of ANPR is difficult to measure in terms of return on sales, the group’s customer retention is at 68% and he said the technology has a part to play in that. Threlfall said: “I like to think of it as one of the one percenters. You can change a thousands things you do by 1% to make a difference, but you can’t really change one thing 1000%. So ANPR is one of those for us. “It’s also tied in to a welcome board, so we have a welcome notice for customers that drive in and it directs them where to park.